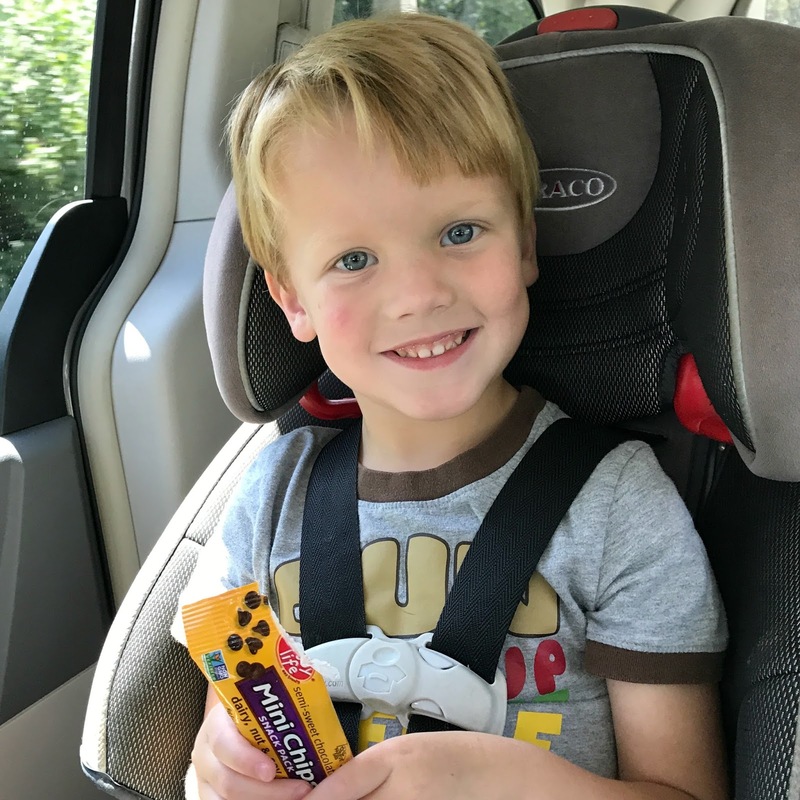 Raising Jack With Celiac : Enjoy Life Foods Dark & Semi-Sweet CHOCOLATE Giveaway! 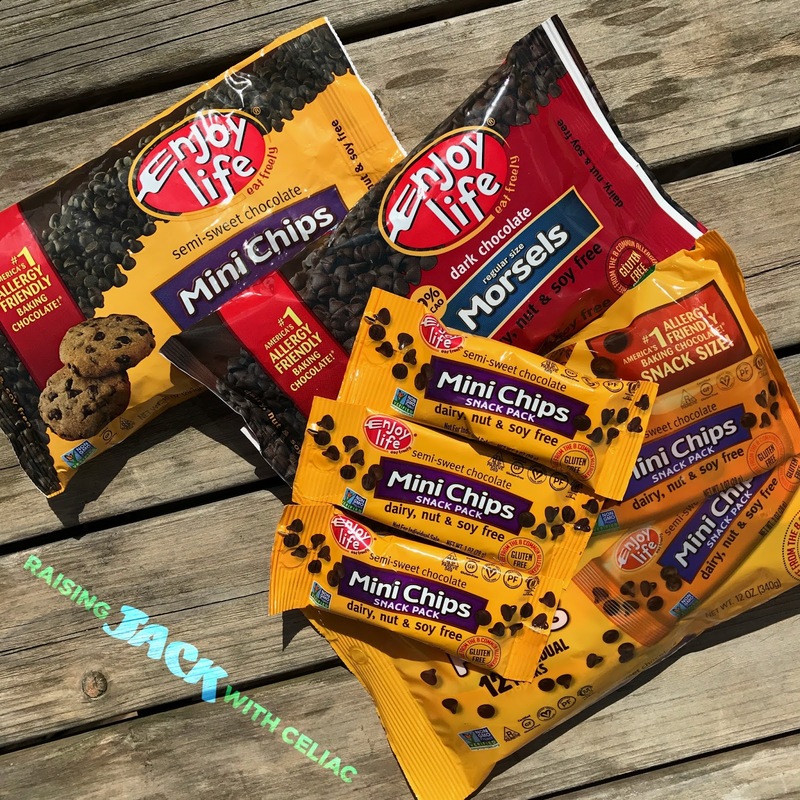 Enjoy Life Foods Dark & Semi-Sweet CHOCOLATE Giveaway! **This is a sponsored blog post with Enjoy Life Foods. I have received compensation and/or product from them. All opinions are my own and I only work with brands that my family and I truly enjoy. O, how I (okay, we) love thee. I would love to share some CHOCOLATE with YOU! 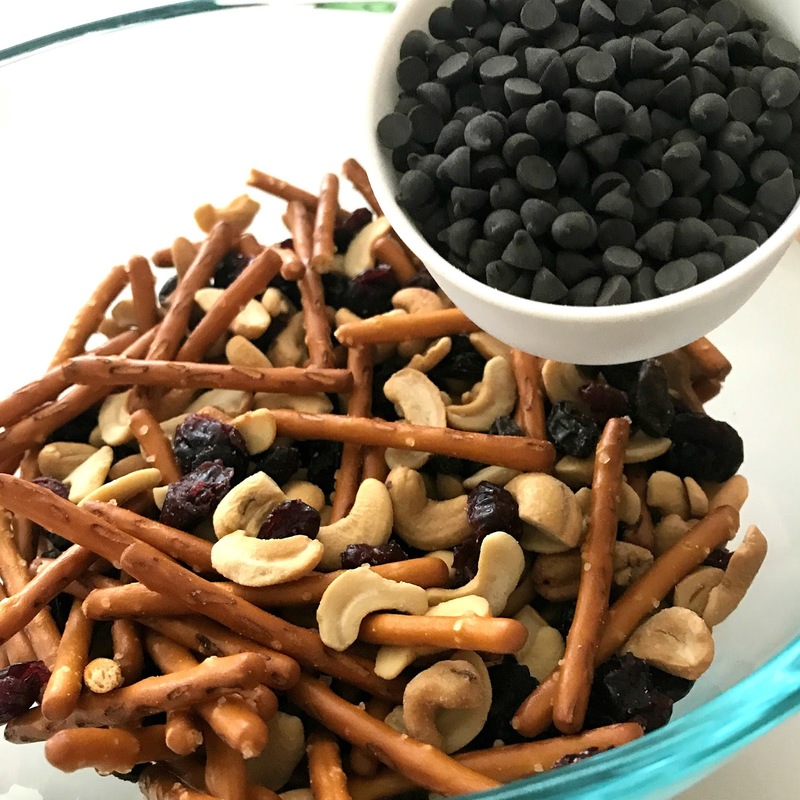 Enjoy Life Foods is giving 2 LUCKY WINNERS: 1 Bag of Dark Chocolate Morsels, 1 Bag of Semi-Sweet Chocolate Mini Chips and 1 Bag of 12 Mini Chips Snack Packs! ENTER BELOW FOR YOUR CHANCE TO WIN! Winners will be randomly chosen on Friday, September 1st and contacted by email. To be able to share this chocolate with EVERYONE, knowing that they chocolate is Top 8 Allergen FREE, that makes me HAPPY. I hope it makes you HAPPY too! You can find Enjoy Life Foods Chocolate Morsels and Mini Chips in a grocery store near you! Visit their Store Finder. And for more information about Enjoy Life Foods chocolate, visit: Baking Chocolates here and Snack Packs here. My son loves chocolate chip pancakes, and we usually use Enjoy Life chips. Chocolate chip cookies, used as a mix in for applesauce, yogurt, pancakes, muffins, cupcakes, waffles, etc. Used as a topping for ice cream (non dairy), smoothies, etc. And I eat them on their own! I just discovered these, so we have only used them once--for chocolate chip cookies! SO GOOD!! love to melt them and coat bananas and kiwi slices! A few favorites are in trail mix, on top of a spoon full of Sunbutter, melted for chocolate covered pretzels, and we recently melted them to decorate a Minecraft cake. These are the only chocolate chips I use. They are delicious! Yumm.....I could add them to our protein balls!!! I haven't tried the products yet, but I'd choose milk chocolate first. I like to make my own celiac safe trail mix or eat a banana with peanut butter sprinkled with chocolate chips! We love Enjoy Life! My son's staple breakfast is gluten free chocolate chip pancakes made with Enjoy Life mini chocolate chips! We make double batches WEEKLY!!! I love to eat the chips plan right out of the bag. So good, can't even tell that they are dairy free!! Love them!! It is hard to find dairy free AND gluten free chocolate chips, but ENJOY LIFE is both and it does not break the bank like some other brands I find! Thanks for the giveaway! Love these! Best chocolate chips and chunks out there! Before I was politely asked by my naturopath to "stop eating so much sugar" I just ate them plain out of the bag. :) Now I save them for baking. 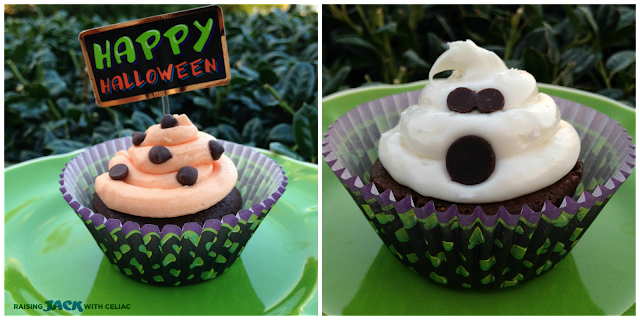 I love to add them to my brownie mixes for an extra chocolatey treat! I add them to my oatmeal! I eat mine by the handful! Or in cookies when I'm not feeling lazy! Sometimes I add Enjoy Life mini chips to my So Delicious coconut yogurt! Protein balls, trail mix, and pumpkin cookies for sure!! Love EL chocolate! Use them in smores, trail mixes, pancakes, muffins...and often just by themselves! Choc chip cookies are the way to go with these! I usually just use them in cookies or cookie bars for me and my nephew since we are dairy free. Omg I love this chocolate! I use in muffins, cookies, pancakes, and candy. Yum! My kid mixes then into sunbutter. They are usually gone before I get the chance to use them. 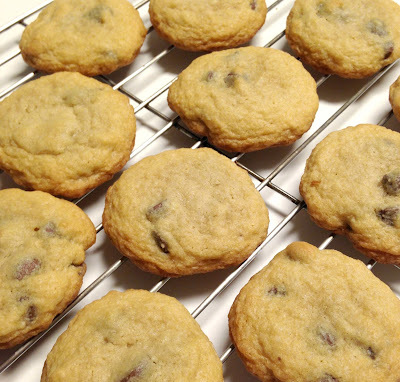 Love these chocolate chips in homemade cookies. 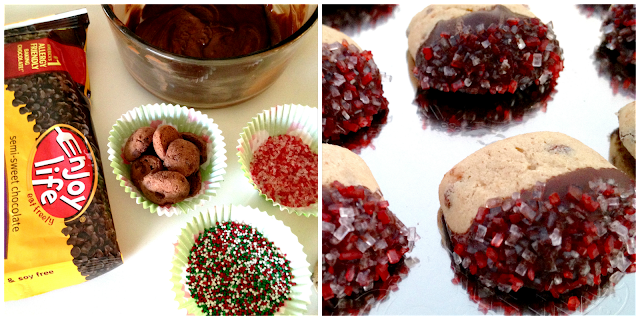 Actually I made some cookies yesterday. In muffin in a mug and straight out of the bag! We have long adored Enjoy Life! The thing is - they don't taste any different but just better than what is out there and NOT allergy friendly. We love them for just having chocolate, we love them with breakfast, in smoothies, cookies and just everything. The snack packs fly in our house so much that I just can not afford to keep up with buying them. My favorite is to use them in gluten-free chocolate chip cookies or granola bars. I also sneak a few plain ones every day. We like them in pancakes and our oats. We like them mixed with nuts and crandberries. They are great as an afternoon treat!